Are you a young digital hero? Do you use technology to make a difference or help others? Or perhaps you know someone who does? The TalkTalk Digital Heroes Awards is a countrywide scheme recognising people who harness technology to bring about positive social change. The judging panel is led by Martha Lane Fox, co-founder of LastMinute.com. It is a charity initiative funding digital do-gooders up and down the country each year. It has given almost half a million in funds since it has been running and showcased some of the great work people do with technology. Now in its 6th year, the awards have recognised and rewarded projects of all shapes and sizes. It provides much needed funding with each of the 12 regional winners being awarded £5,000 and the overall winner receiving £10,000. 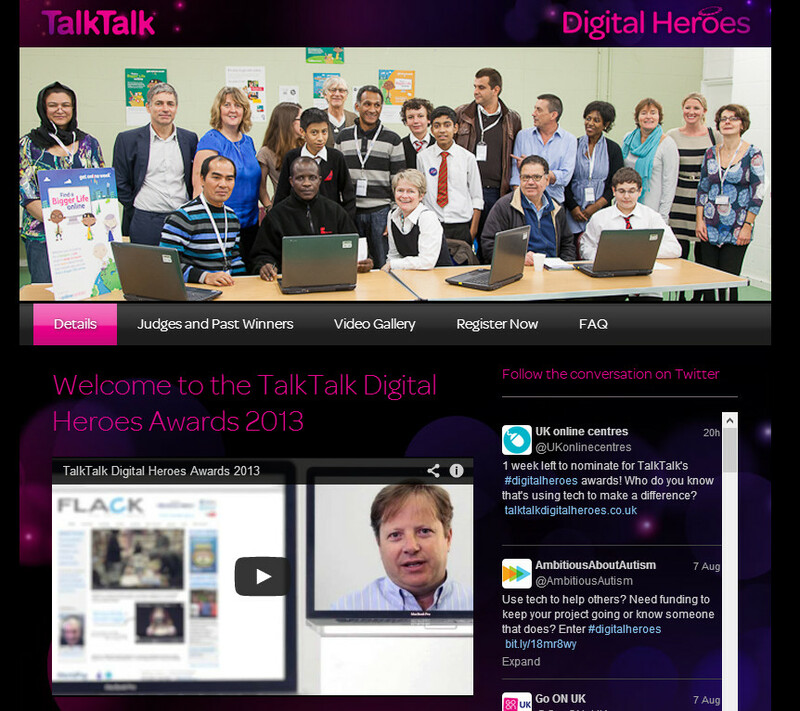 The TalkTalk Digital Heroes Awards is also recognising the amazing work done by young people, as it has a special category to find the UK’s Young Digital Hero. This category recognises a young person aged up to 18 years old who stands to win £4,000 for their chosen charity and an Apple MacBook Air. But be quick – there’s less than a week left to enter as registration closes on Wednesday 14th August 2013. You can register and find out more about these awards via their website here.